Israeli soldiers invaded, on Monday evening, the Aida refugee camp, north of the West Bank city of Bethlehem, broke into homes, and destroyed doors of a number of stores, before searching them. Local sources said the soldiers damaged the doors of a number of shops, and a car repair garage, and violently searched them causing excessive property damage. The sources added that the soldiers destroyed and removed the doors by tying them with iron chains attached to their armored vehicles. In addition, soldiers invaded three homes, belonging to Mohammad Ahmad al-Ghoushi, Mousa Monir Ja’ara and Jamil Jawarish, before searching and ransacking them. The Palestinian unity government has not recruited any of the unemployed in Gaza Strip within the temporary employment program since it was formed last June, the head of the Palestinian Labor Union Sami al-Amsi said. Al-Amsi pointed to the increased number of the unemployed laborers estimated at 200,000. Amsi said, in a statement on Monday, “the current stage is the worst ever”, noting that the previous government in Gaza was employing 5000 laborers monthly under the temporary employment program which contributed to alleviating the workers’ harsh living conditions. He pointed out that the unity government has cancelled the temporary employment and the professional training programs which obstructed the role of the Ministry of Labor in Gaza. 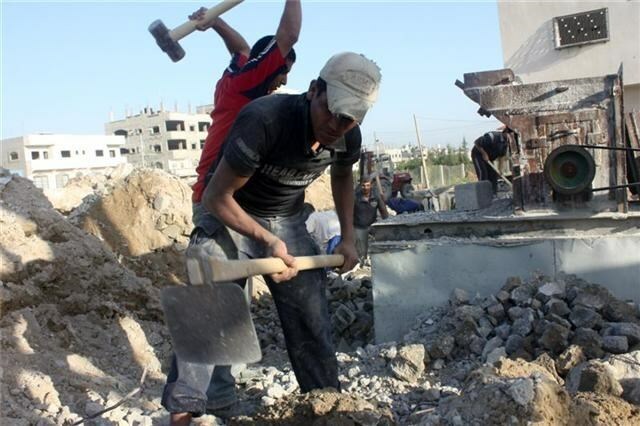 Referring to the World Labor Day, Amsi said “the First of May coincides with record numbers of unemployment in Gaza amid tightening of the siege, the closure of crossings and banning the entry of raw materials especially the metal equipment. This has led to the hampering work in 1200 factories and workshops in addition to layoffs of thousands of workers”. The numbers of the unemployed laborers in Gaza reached 200,000 which increased the unemployment percentage to 40% and poverty to 60%, he said. 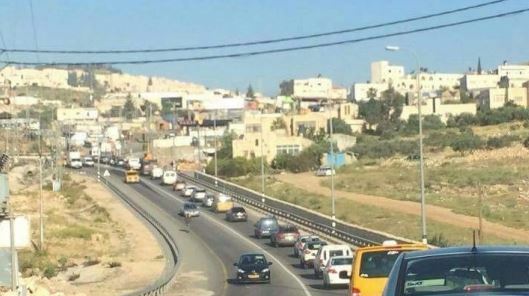 Israeli soldiers invaded, on Friday morning, the town of Hizma, north of occupied East Jerusalem, kidnapped two Palestinians, and forced shut dozens of stores and shops. 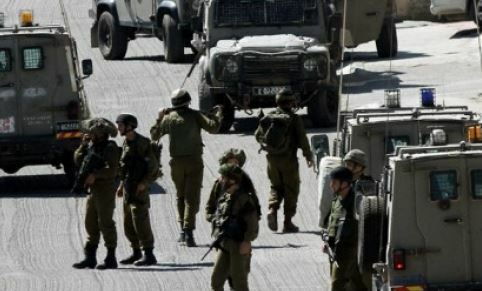 The SAFA News Agency said several Israeli military vehicles invaded the town during early morning hours, and were largely deployed in Abu George Street, before forcing store owners to close their businesses. The soldiers also kidnapped two Palestinians, identified as Mohammad Nasri and Hussein Fakhri, before taking them to an unknown destination. It is worth mentioning that Hizma has been subject to frequent invasions over the past two weeks, while the soldiers repeatedly install roadblocks and isolate it from its surrounding Palestinian communities. Isam Abu Mohareb, a Palestinian farmer from Gaza, did not think that the Israeli agricultural aircraft's spray on Tuesday 21/4/2015 would ruin all his hopes of compensating his loss in the Israeli aggression of 2014. Israeli pesticides destroy Gaza Crops (report) As the farmers finished their night shift, Israeli agricultural aircraft was spraying unknown pesticides over large farming areas to the south and north of Kissufim military site. 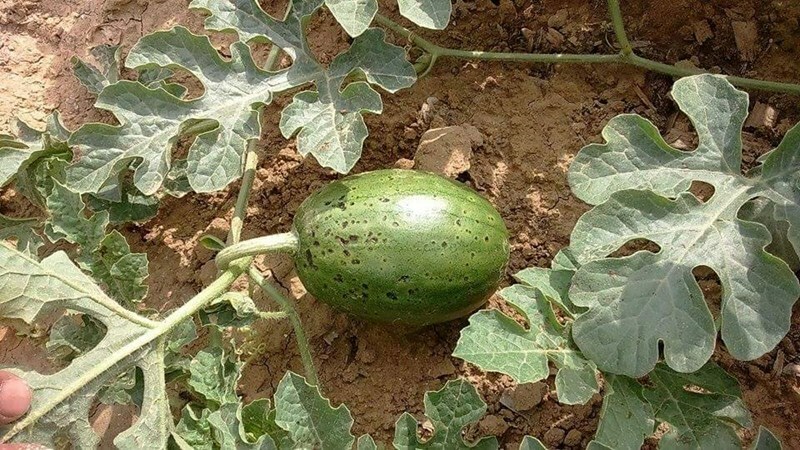 Unaware of the gravity of the spray, Abu Mohareb left the farm and came the next morning to find that the watermelon, pepper, yard-long cucumber, squash, and mallow plants had withered and lost colors. He then knew that the aircraft spray had destroyed the crops over 500 meters to the north of Gaza-Israeli borders, with another 700-meter agricultural area destroyed by the pesticides carried by the eastern wind. The Israeli agricultural aircraft repeatedly sprayed the Gaza agricultural border lands this week, destroying tens of agricultural fields. The Ministry of Agriculture has not estimated the losses yet. Abu Mohareb said, "We have been in a 30,000-Shekel debt since the last Israeli aggression as the Israeli forces bulldozed a water well, a warehouse of agricultural tools, water networks, and a number of our houses. The Israeli agricultural aircraft destroyed our crops and dashed our hopes. We use the money we earn from our farming to sustain 60 family members." Workers of the farm witnessed the incident as the Israeli aircraft flew at 10-meter height above the crops and sprayed foul-smelling pesticides. Marwan Abu Mohareb, Isam's brother, appealed to the Ministry of Agriculture and the concerned officials to protect the border farmers from what he called Israeli "displacement campaigns" that target the Palestinian farmers on the Gaza borders. Marwan continued, "A friend took me on his motorcycle to Abdullah Abu Mughseib's farm. The land there is low and the Israeli watchtowers and espionage balloons appear clearer." Abu Mughseib expressed his surprise as he saw the withered almond and grape buds and the destroyed red-colored squash, beans and okra plants. He added, "The crops are not in 300-meter buffer zone. Israel destroyed a 500-meter wide strip of our lands and the winds carried the pesticides to destroy another area over 700 meters deep. In addition to the destroyed plant buds, we now have to spend more than a month waiting for new buds to grow." Ahmad Abu Sawaween, a farmer of the destroyed lands, had to increase the irrigation water hoping to recover the destroyed squash and bean plants. During the last Israeli aggression on Gaza, Israeli forces destroyed Abu Sawaween's house, murdered one of his brothers, and arrested another. He said that the Israeli pesticides destroyed the squash, okra, and bean crops, as well as many other vegetable seedlings. He added, "We had to harvest the bean plants ahead of time, and we lost a huge amount of the crops over an area of around 20 acres. This is the second time we lose this season. We are going to remain heavily in debt. We are going to feed the crops for the livestock." The agricultural engineer, Ahmed Abd Al-Hadi, Director of the Ministry of Agriculture in Deir Al-Balah governorate, said it was the second time for the Israeli agricultural aircraft to spray chemical pesticides over the Gaza farms. 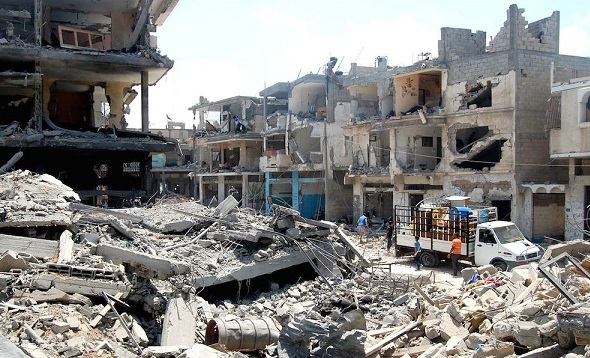 Abd Al-Hadi went on, "The first time was in January following the Israeli aggression of 2014. It is probably pesticides similar to herbicides. It destroyed crops, vegetables, and trees over 90 acres in Wadi Al-Salqa village alone, in addition to large areas in eastern Al-Qarara town." Abd Al-Hadi confirmed the Israeli deliberate efforts to destroy the agricultural lands on its borderline with the Gaza Strip. He also asserted that several human rights and humanitarian organizations have recently documented the incident, including the Red Cross, the Danish Institute for Human Rights, and other local and international organizations. The Palestinian residents on Israel-Gaza borders said that Israel, that used to continuously bulldoze the borders and destroy the crops under security pretexts, has started implementing a new tactic to destroy the crops and evacuate the farmers without military vehicles. 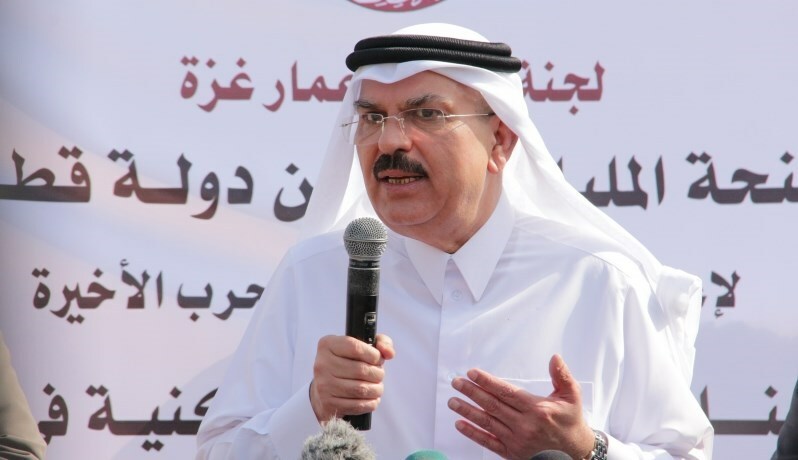 Qatari Ambassador Mohamed al-Emadi, in charge of the Gaza reconstruction file, denied claims that he had received $25 million from his government to sponsor a gas line running from Israel to Gaza. Talking to al-Jazeera Net Emadi said the piece of news is just groundless, and added that nothing new has taken place as regards the file of Gaza’s power crisis. Emadi’s statements have come in response to the rumors released by a local news agency, claiming it has been updated by informed Palestinian sources on a deal struck with the Israeli government to provide a gas pipeline to Gaza’s power plant. The news agency further claimed $25 million were dispatched by the Qatari government to the ambassador to that very end. He said the file was discussed sometime earlier but nothing new has emerged so far. 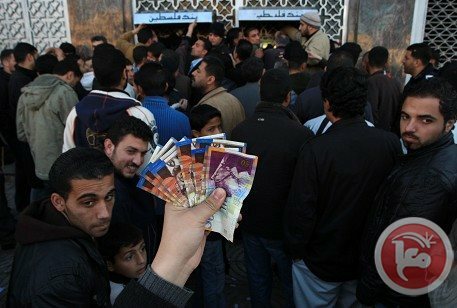 The Palestinian National Economy Ministry stressed on Sunday the urgent need to stop Israeli targeting of Gazan merchants, calling for the release of the Palestinian merchants who were detained at Beit Hanoun crossing for flimsy pretexts. 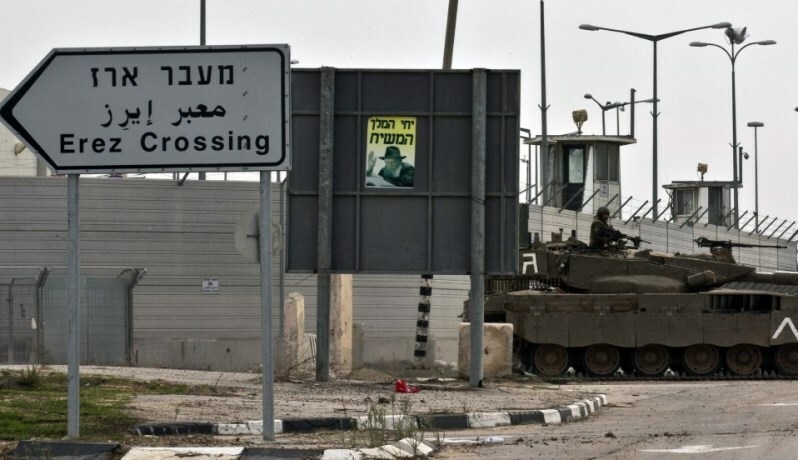 Undersecretary for the Ministry in Gaza Hatem Oweida said that Gazan merchants are subjected to deliberate humiliation and blackmail at Beit Hanoun border crossing, pointing to the Israeli tight masseurs and restrictions imposed on goods’ access to the Strip. The ministry documented the arrest of 19 merchants from Gaza Strip, he added. He also pointed to the heavy losses suffered by the merchants due to the Israeli confiscation of and ban on their goods at the border crossing. Oweida urged the international human rights institutions to stand seriously against Israeli violations against Gazan merchants and to work on lifting Gaza siege. He also called on the Palestinian unity government to bear its historic responsibilities regarding the issues of Gaza’s public servants and border crossings. Gaza people have made great sacrifices in order to live with dignity, but their patience could come to an end at any time, he warned. For his part, Public Relations Officer in the General Federation of Palestinian Industries Mohamed Mansi told the PIC reporter that Israeli arrests of Gazan merchants are aimed at tightening the siege of the Strip. Most of the detained merchants are arrested after obtaining Israeli permits to pass through Beit Hanoun. They are then held in Israeli jails and detention centers without charges, he continued. Earlier Sunday, the Palestinian Economy Ministry has organized in coordination with the government media office and the private and non-government institutions in Gaza a sit-in protesting Israeli arrests and deliberate targeting of Gazan merchants. The Israeli government will be transferring held withheld PA tax funds on Sunday or Monday, the Palestinian Minister of Civil Affairs, Hussein al-Sheikh, told Ma'an Saturday. Prime Minister, Rami Hamdallah, had said Friday that the government employees' paychecks of April are expected and supposed to be paid without any obstacles or reductions. Hamdallah added that it has been agreed to review all debts on Palestinian municipalities and companies, with the attendance of the joint Palestinian-Israeli economic committee, and not by Israel's side only. The PM added that the Palestinian government will be listing the employees' unpaid salaries to assure that they receive them. While under the Oslo agreements, Israel collects Palestinian tax revenues and is supposed to distribute the funds to the PA, Israel has historically confiscated Palestinian taxes in order to put political pressure on the Palestinian government. Every month, Israel transfers to the PA around $127 million (118 million euros) in customs duties levied on goods destined for Palestinian markets that transit through Israeli ports. Excluding foreign aid, these revenues make up around two-thirds of the authority's annual budget. In early January 2015, Israeli authorities froze the delivery of Palestinian tax revenues as a punitive measure in response to Palestine's decision to join the International Criminal Court. Palestinian Finance Minister Shukri Bishara reported in February that Israel's freeze on Palestinian tax revenue was costing the Palestinian Authority 70 percent of its budget at the time. Ten days after Israeli Prime Minister Benjamin Netanyahu was reelected, his office announced March 27 that Israel would release the funds it collects on the PA's behalf, however with deductions. According to the office's statement, the decision to release the funds was based on "humanitarian concerns and in overall consideration of Israel's interests at this time," among other factors. "Tax revenues that have been accumulated through February will be transferred, after payments for services to the Palestinian population have been deducted, including electricity, water and hospital bills," the statement said. 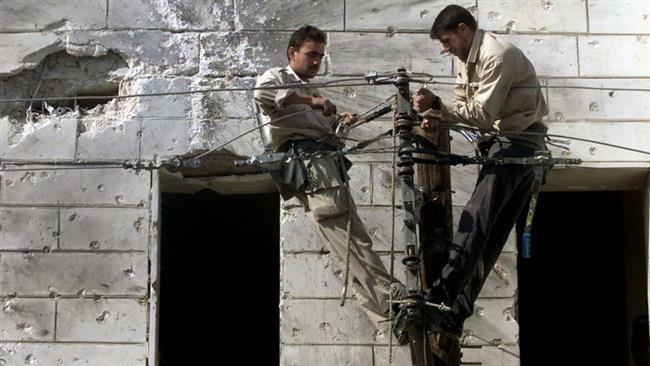 At the time, Israel would allegedly deduct the money to cover electricity bills owed by the PA, to which PM Hamdallah responded that that there are contracts with municipalities and electricity distribution companies that the PA is not responsible for. President Mahmoud Abbas threatened in early April to turn to the International Criminal Court over Israel's refusal to fully release the hundreds of millions of dollars in tax monies. The international has repeatedly called on Israel to release the tax funds, as thousands of Palestinian public servants have not received full paychecks for over three months. 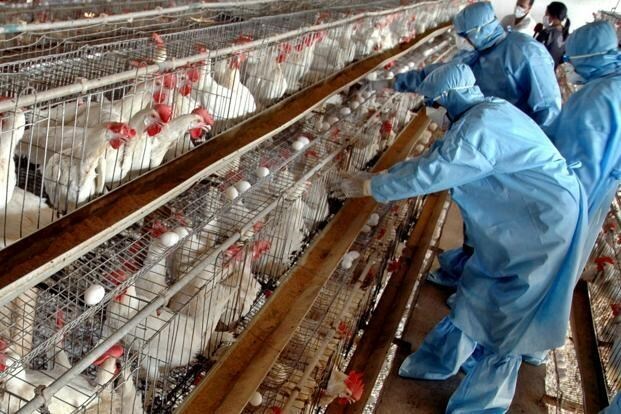 Khan Younis municipality in southern Gaza Strip executed, in collaboration with the Ministry of Agriculture, 800 chickens and ducks infected with bird flu after being discovered in a farm. The Director of Health and Environment Department in the municipality Yusuf Shubair said, in a statement on Monday, the Ministry of Agriculture sought help from municipal crews in the process. The implementation of the culling of birds was done according to health conditions followed with the participation of doctors belonging to the Ministry of Agriculture-Veterinary Services, he added. Shubair explained that the farm owner contacted the Ministry of Agriculture and informed them about the deaths in his large ranch home. The ministry, for its part, took samples from and examined those birds in the designated medical laboratories to make sure they were infected with Avian Flu. He called on all the owners of ranch homes to be careful and pay good attention to all the birds in case of the emergence of any health symptoms that may lead to death. He also urged them to inform the Veterinary Services at the Ministry of Agriculture in order to protect citizens from any possible health threats. The severe restrictions on the movement of Palestinians in the vicinity of the settlements in Hebron encourage the arbitrary and regular harassment of the residents. B'Tselem volunteer Raed Abu a-Rmeileh filmed a video showing what happened to an ice cream delivery intended for a grocery store. “I unloaded about 20 boxes of chips and 50 boxes of ice cream from the vehicle. I asked the Border Police officer at the checkpoint to open the gate for the truck so that I could transfer the goods to my grocery store. He refused, claiming that I didn’t have a permit from the Civil Administration. The painstaking search took a long time, and in the meantime the ice cream melted. After a delay of about one hour, Maswdeh asked B'Tselem volunteer Raed Abu a-Rmeileh to come to the scene. A-Rmeileh filmed the search of the boxes and the ensuing argument between Maswdeh and the Border Police officer. Eventually, some two hours after the merchandise arrived, Maswdeh had no choice but to abandon the melted ice cream. He sent the shipment back to the factory, but suffered NIS 1,200 in losses. Since the massacre of Muslim worshippers at the Tomb of the Patriarchs, perpetrated by settler Baruch Goldstein in 1994, the military has openly pursued an official policy of segregation in Hebron. The main means the military uses to this end is the imposition of severe restrictions on the movement of Palestinians in the city center, where most of the settlements are situated. Since the settlements themselves are illegal, the restrictions add insult to injury. The freedom of movement of an entire population is put under sweeping and disproportionate restrictions in order to facilitate and perpetuate a policy that is inherently illegal. The World Bank says Israeli restrictions have prevented the development of the energy sector in large areas of the West Bank, and the volatile atmosphere in the occupied Palestinian territories have discouraged the private sector from investing in Palestine’s energy sector. The US-based international financial institution said in a statement released on Wednesday that the Palestinian energy market is small and the chances to expand and develop the energy sources are very limited, at least for the time being. The statement also mentioned the factors that prevent the repayment of unpaid electricity bills by Palestinians. The main factors are the absence of institutionalized and transparent invoicing by the Israel Electric Corporation (IEC), as well as the high interest rates for late payments set unilaterally by the Israeli regulator. The World Bank report said the power sector in a healthy economy is expected to generate revenues and contribute to economic development, but the lack of a power energy sector is putting immense pressure on the Palestinian economy. Steen Lau Jorgensen, the World Bank’s country director for the West Bank and Gaza, said the outstanding payments owed to the IEC took a heavy toll on a struggling Palestinian fiscal situation, and have led to arbitrary cuts in the power supply. He added that these outstanding payments have been deducted from the tax revenues owed to the Palestinian Authority by Israel. Earlier, the Palestinian Health Ministry warned of a humanitarian crisis in the Gaza Strip if Israel does not lift its crippling siege on the region. A ministry spokesman, Ashraf al-Qidra, said on Tuesday that the health situation was worsening in the impoverished coastal enclave due to Israel’s siege. The official said that hundreds of patients in the coastal sliver were in life-threatening conditions as they were in an urgent need of medical treatment, warning that their lives will be at risk if Israel continues its siege on the region. The Gaza Strip has been under a crippling Israeli siege since 2007. The blockade, which has cut off the territory from the outside world, has led to an economic and humanitarian crisis in the densely-populated enclave. The public workers union in the Gaza Strip announced that a general strike would be in effect Thursday, across all public institutions, in protest against the government's continued to failure to pay salaries to tens of thousands of employees of the former Hamas government. The strike announcement signals a renewed determination by public workers to pressure the Fateh-Hamas unity government to address the simmering crisis over the workers, whose future has been uncertain since the April 2014 unity deal. According to Ma'an News Agency, union spokesman Khalil al-Zayyan said that the strike is being held in protest against the government's lack of commitment to agreements made previously with the public workers' union. He said that the union holds the government responsible for all the negative repercussions of the strike and other measures taken by the union in protest. He also vowed that workers would continue their struggle and not allow anyone to "politically blackmail" and manipulate them. Although the establishment of a unity government in June ended seven years of political division between Hamas in Gaza and the Fateh-led Palestinian Authority in the West Bank, key issues such as the payment of workers employed by the previous Hamas-led government in Gaza were not settled. Since the political division between Hamas and Fateh began in 2007, Hamas ran a separate government in the Gaza Strip with its own civil service of around 50,000. During this time, however, the Fateh-led Palestinian Authority continued paying its 70,000 employees in the Gaza Strip, despite the fact that the PA was no longer operative. Since the unity agreement was signed, it has been unclear who will pay the employees of the former Hamas government. Although Qatar stepped in for a few months, until now both Hamas and Fateh have blamed each other. As a result, tens of thousands of employees have been working without steady salaries, while the fear of being summarily fired and being replaced with the former PA government employees has provoked anger. In December, meanwhile, Israel froze some $127 million in tax funds owed to the PA in revenge for the PA's decision to join the International Criminal Court. The move has added to the lack of funds facing Palestinian authorities, and has led to major salary problems for even recognized employees of the PA. According to the official government-run, Palestinian News & Info Agency (WAFA) the Palestinian government announced, Tuesday, singing an agreement with the Kuwaiti government in which the latter pledges to donate $200 Million to support the efforts for the reconstruction of the war-town Gaza Strip. WAFA said Abdul-Wahab al-Bader, Director General of the Kuwaiti Development Fund, signed the agreement with Jawad Naji, the adviser of the Palestinian Prime Minister for Arab and Islamic funds. The agreement was signed on the sidelines of a meeting for Arab Financial Institutions, held in Kuwait. WAFA added that $75 Million of the entire amount would be used to finance the construction of 1500 housing units, and $60 Million would be used to fund the construction of a water pipeline that extends from the northern Gaza Strip to the southern parts of the coastal region. In addition, $35 Million would be allocated for infrastructure projects, $15 Million for the rehabilitation of agricultural and industrial structures, and $7 Million for funding projects for the health and education sectors. 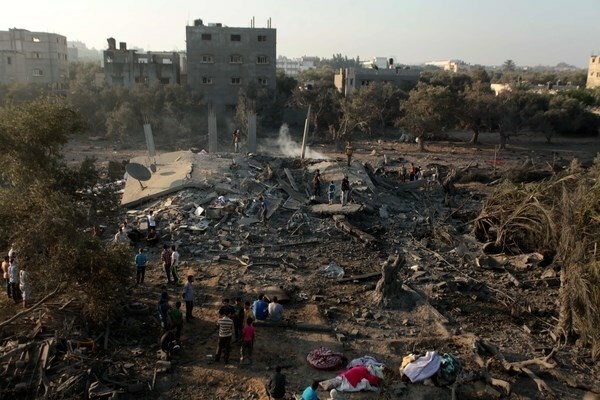 WAFA said that around 100.000 Palestinians in Gaza are still living in shelters, or temporary accommodations, and others are living with extended family members and relatives, after Israeli bombs and missiles destroyed their homes. There are dozens of thousands of families in the coastal region who are currently living in their damaged homes, although the structures are not safe, but they had no other options for shelter. Catherine Essoyan, Regional Director of Oxfam, said there are hundreds of families living in homes without roofs, without walls or windows for the past six months, and that many families have less than six hours of electricity each day, and do not have access to running water. Essoyan added that Israel must end its siege on Gaza to enable the reconstruction of the devastated coastal region, and enable the Palestinians to rebuild their lives. The Italian government pledged to provide long-term loans to Gaza as part of its intents to boost economic enterprises in the blockaded enclave. The pledges were made during a meeting held in Gaza on Saturday between Palestinian businessmen and a senior Italian delegation to discuss possible ways to enter the rebuilding materials needed to initiate vital economic projects. The Italian ambassador, who was a member of the visiting delegation, presented bids offering long-term loans of up to seven years and with sums ranging from 50,000 to 500,000 Euros. The Italian government would also guarantee the entry of the needed machinery and raw materials from Italy to Gaza, in coordination with the Israeli occupation authorities. For his part, head of the Palestinian Businessmen Association, Ali al-Hayek, called for backing up the private sector in Gaza and urging the IOA to lift the siege and unblock the border-crossings so as to boost the reconstruction process. Al-Hayek further called on the Italian ambassador to foster bilateral commercial exchange between Italy and Palestine and to allow Palestinian businessmen easy access into Rome. He also pushed for dispatching Italian engineers to Gaza so as to train Palestinian technical and professional personnel as a means to catch up on the damages inflicted by the latest Israeli offensive on the besieged coastal enclave.